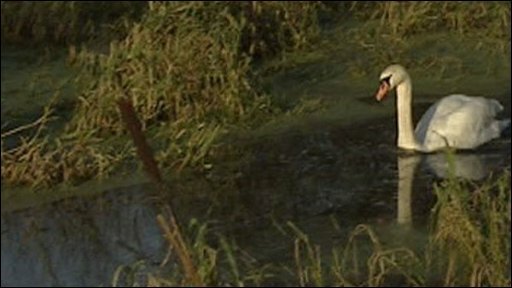 Three-quarters of Northern Ireland's rivers are polluted beyond acceptable levels, assembly members have heard. In tests conducted between 2005 and 2007, rivers were graded from A to F. Those rated C and under were considered to be below standard. More than 200 were C or below, including Crawfordsburn River, Bloody Bridge River, the Lagan and the Bann. However, the Environment Agency has rejected claims that it is not doing enough to stop pollution. The figures were released after a query from SDLP assembly member Thomas Burns. Mark Livingstone from the Environment Agency said the figures obtained by Mr Burns did not give the full picture. "Based on the 2007 data about 70% of the rivers throughout Northern Ireland are good or better, that's A or B class," he said. "Now the person that asked for that information unfortunately only asked for C class and below - so yes you've got the risk of failures and poor health, but we've got plans to fix these problems and we'll fix them as quickly as we can." The Crawfordsburn River at the popular County Down country park, was rated D on a biological test and C on a chemical test. At a sample point at the Con O'Neill Bridge in east Belfast, the Connswater River was graded E on the biological test. 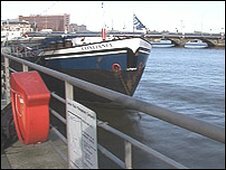 The River Lagan failed tests at numerous sample points. More than 60 rivers also failed to meet the quality criteria outlined under the EU Freshwater Fish Directive with regard to supporting fish life. They included the Upper and Lower Bann at numerous points, the Erne River in Enniskillen and the Silent Valley Reservoir.